Jacket is 100% acrylic fur this coat has 2 pockets, 2 beautiful buttons (double breasted) and half-belt at back for shape. STUNNING! 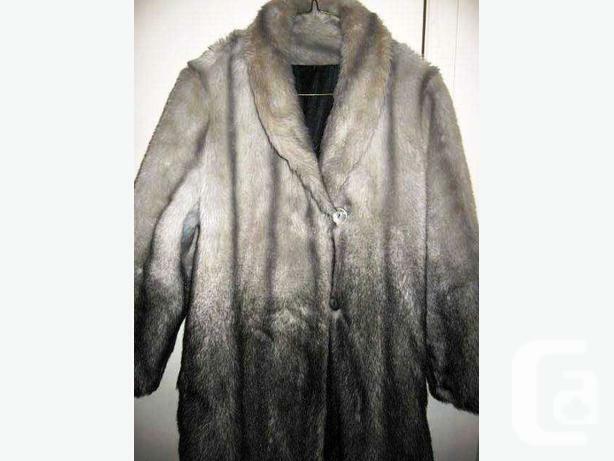 Vintage beautiful Faux Mink Fur coat that looks like the real thing. It is so soft and luxurious. Heavy satin looking lining and this coat is in wonderful condition. Any spots or blemishes on the pics are from the camera.